I can't believe how long it has been since I have been able to post! I had no idea how much of my time the final weeks of wedding planning would consume! After an incredibly exciting August, I'm back with an outfit photographed at the beginning of the month! I'm super hot on the peplum cut despite the fact that it has been suggested curvier ladies shouldn't try to don the trend (I've even had some anonymous nasty comments about it! *Shrug*). When I spotted this white peplum top on the clearance rack at Zara, I simply couldn't pass it up. 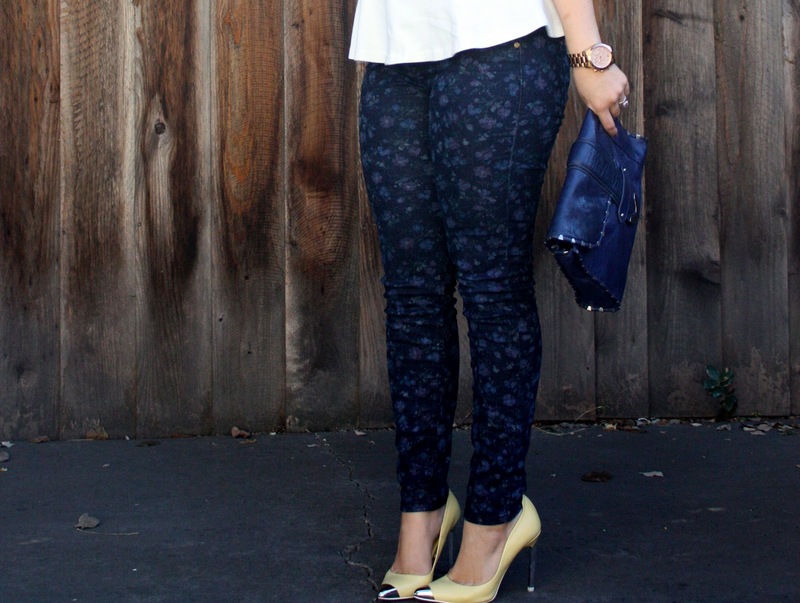 I decided to rock my white-hot new top with a few other of my favorites from earlier in the month; dark floral print skinny jeans and yellow cap toe pumps! To accessorize, I grabbed my trusty Rebecca Minkoff Overnight clutch and a necklace that has been sitting in the jewelry archives for way too long. What risky trend have you been curious to try? Welcome back to blogging babes! And you look fab in peplum and totally rock it! Me, on the other hand...not so much. As much as I love it on everyone I just can't rock it! sad face. 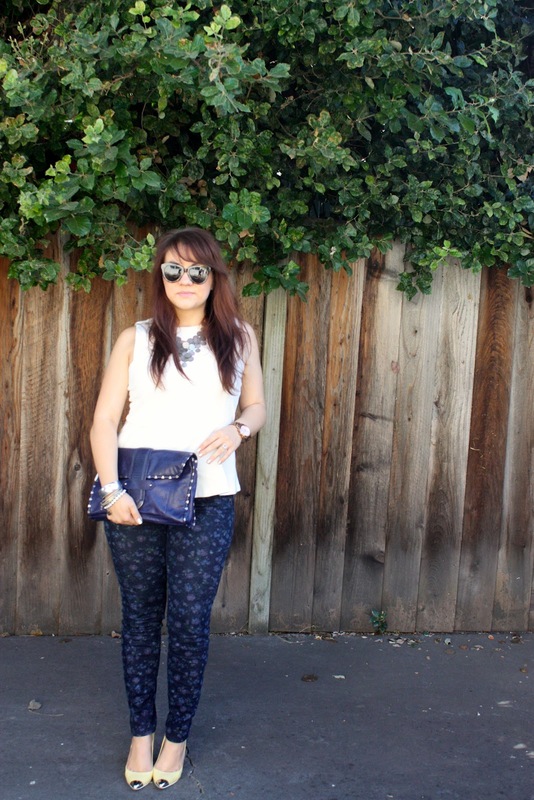 Love the pants too and of couuuurse those shoes-drool! Yayayayayayayayayay! I'm so happy to see you again, my friend! I pay little attention to advice on what looks good on certain body types. And, I'm happy to see you do the same. 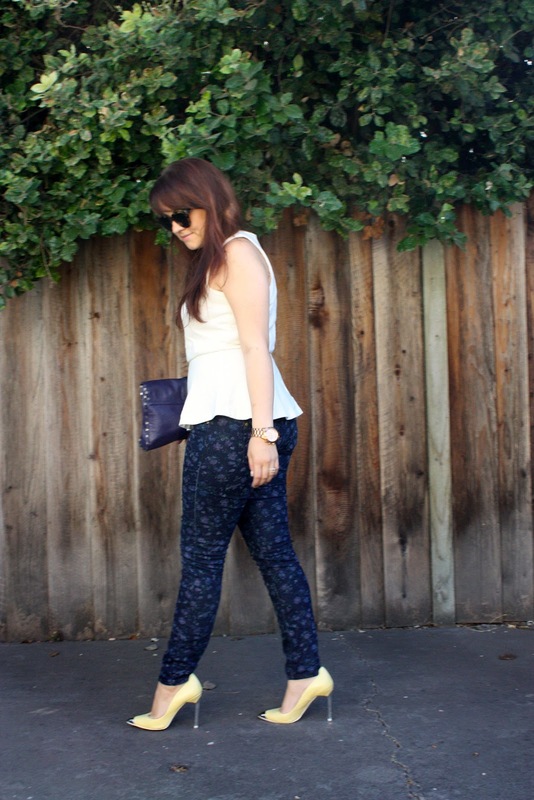 I think peplum looks gorgeous on you! Totally plays up your curves! Yayyy! Welcome back Adiel! 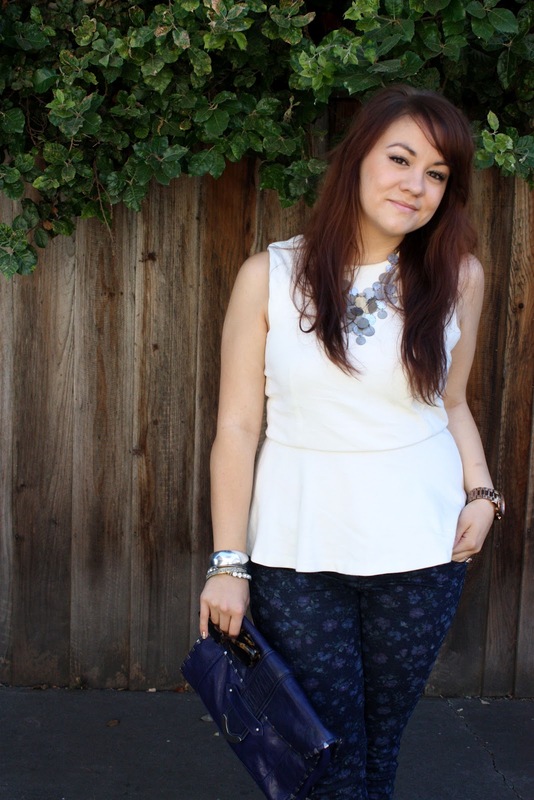 You look gorgeous and FAB in a peplum! I'm glad you ignore the haters because you look fab! Wedding planning is definitely draining (exciting, but stressful). Glad you are back!